NRB members this week had a new opportunity to obtain on-the-record comments directly from a top U.S. government official battling religious persecution around the world. On Tuesday, NRB Vice President of Government Relations Aaron Mercer hosted the association’s first media call with U.S. Ambassador-at-Large for International Religious Freedom Sam Brownback, who offered frontline insights to the Christian communicators who participated. It was the first of what is expected to be approximately biweekly calls with the ambassador. Last summer, the U.S. Department of State held its first-ever Ministerial to Advance Religious Freedom, and Brownback informed those on this week’s call that not only was a second ministerial being planned for July 16-18 in Washington, D.C., but that last year’s event also spawned a series of regional summits, the first of which was held days ago in the United Arab Emirates (UAE). In fact, the ambassador had just returned to Washington from that event the morning of the call. The topic of the summit in the UAE was on educational materials and how in many countries where religious minorities are defamed and denigrated, children are also taught to do the same from their textbooks. The ambassador also talked about efforts to start roundtable groups around the world where advocates could gather to work together on advancing religious freedom policies in specific countries. That will be the topic of the next regional summit, which takes place next weekend in Taiwan. In addition, Brownback reported on his visit to Pakistan, which the State Department last year designated for the first time as a Country of Particular Concern (CPC) – a label given only to the top-tier violators of religious freedom. Brownback also made mention of China and concerns there. “We’re very concerned about the deteriorating situation for religious freedom in that nation,” he said, noting that churches are being destroyed, pastors are being imprisoned, and families are being separated. Brownback said he is regularly being contacted by people from religious minorities asking for help to finding missing family members. 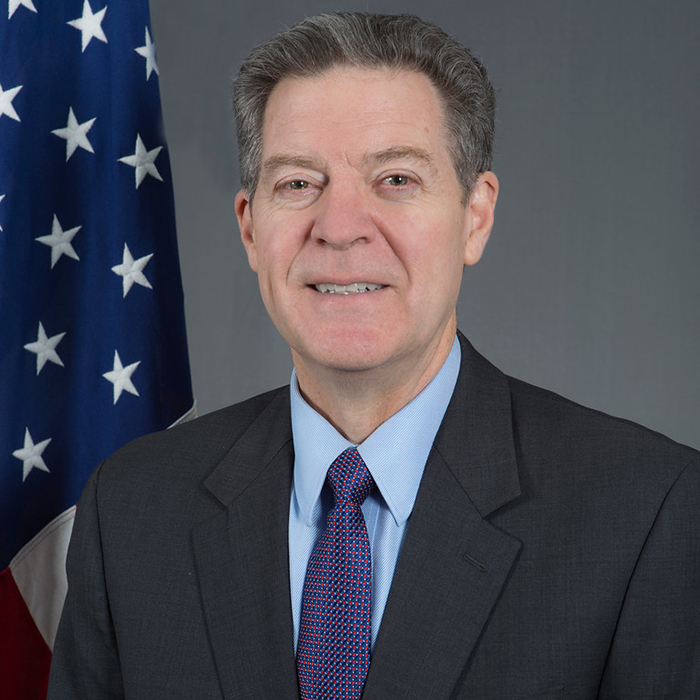 Before concluding the call, Brownback fielded questions from the call participants, including one who recalled the U.S. Secretary of State’s remark that 80 percent of the world’s population lives in a country where there’s some type of religious freedom restrictions. “It’s a horrible situation given that almost every country has signed on to the UN Human Rights Declaration that guarantees peoples’ basic right to freedom of religion – to do with their own souls as they see fit, to change faith, or to have no faith at all; that’s your right,” he said. The next conference call will take place on Tuesday, March 19. The calls are expected to occur on a roughly biweekly basis, and each will be limited to about 30 minutes in length. In addition to Brownback, future calls may include other notable guests who will provide firsthand insights into the needs of those suffering because of their faith. To participate in the next conference call, contact Aaron Mercer at govrelations@nrb.org.